Digital input and output module can serve as the low channel count entry-level module for basic control applications. If the primary power supply fails, the system will be powered by secondary power supply without any interruption or system shutdown/restart. 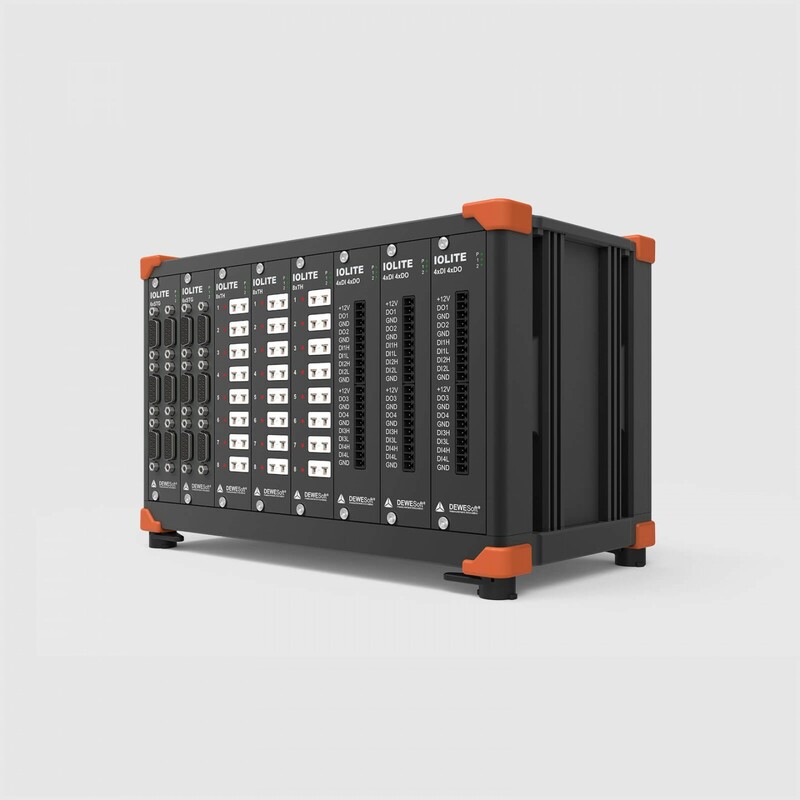 Apart from monitoring the input channels on data acquisition bus, the system can also monitor the outputs from the controller. Let's say we regulate the switch-off valve by monitoring the pressure. DEWESoft can show the pressure signal as well as digital output signal coming from the controller, all fully synchronized. This allows the operator to prove that control system is operating correctly every time. In addition to 19-inch rack cabinet compatible chassis, IOLITE is also available in standalone aluminum chassis compatible with SIRIUS data acquisition instruments.